Sometime in the early spring city folk on the east coast start talking about where they’re going to summer. Yes, we use summer as a verb here sometimes and given the crazy pace of our cities it’s no wonder we take finding an Airbnb so seriously. 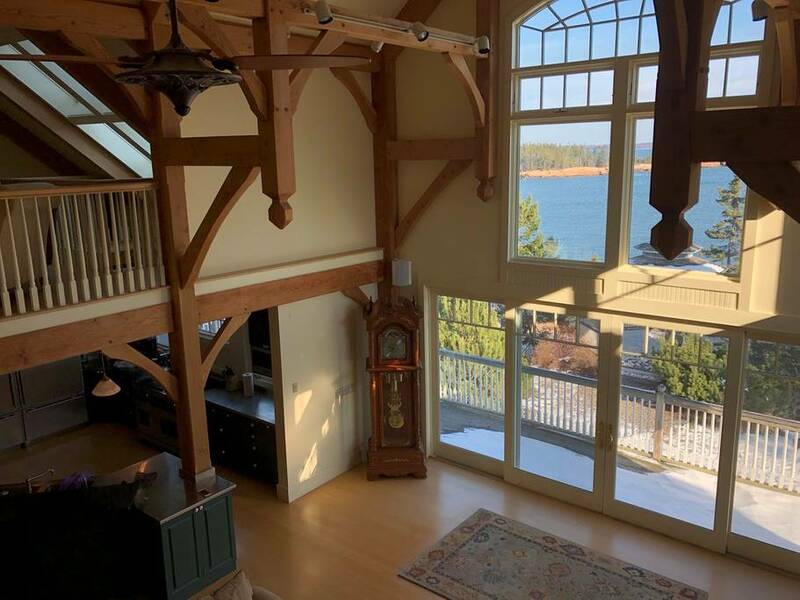 The New England coast is one of our favorite places to spend the hottest months of the year and Bar Harbor, Maine is one of our favorite destinations, and it has some great Airbnb homes in the area. If you’re not familiar with it, Bar Harbor is a small town located on Mount Desert Island, the largest island off the coast of Maine. 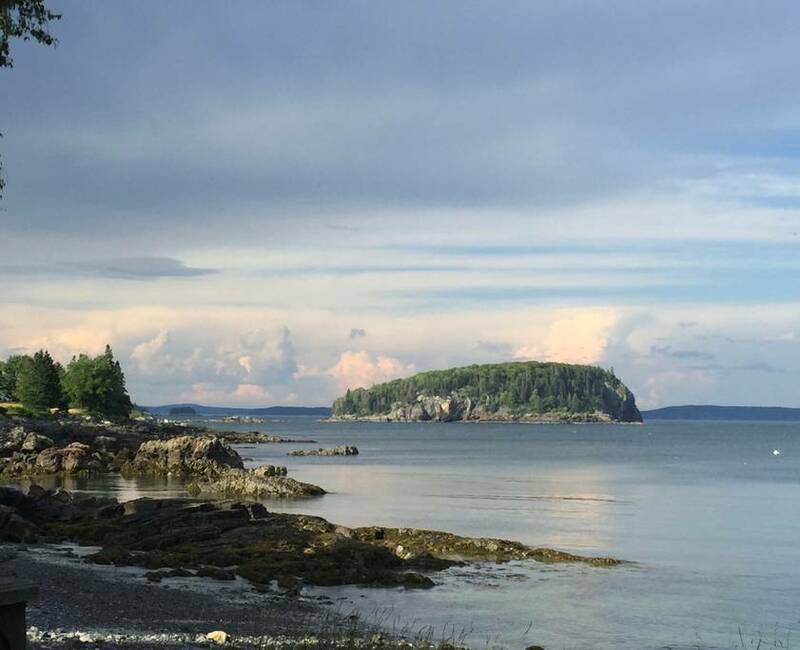 Among the many remarkable features of the island is Acadia National Park, home to Cadillac mountain, and hugely popular with bikers, hikers, birdwatchers and mountain climbers. Not an athlete? Whale watching and sea life exploration are popular pastimes here as are the marina tours and cruises. 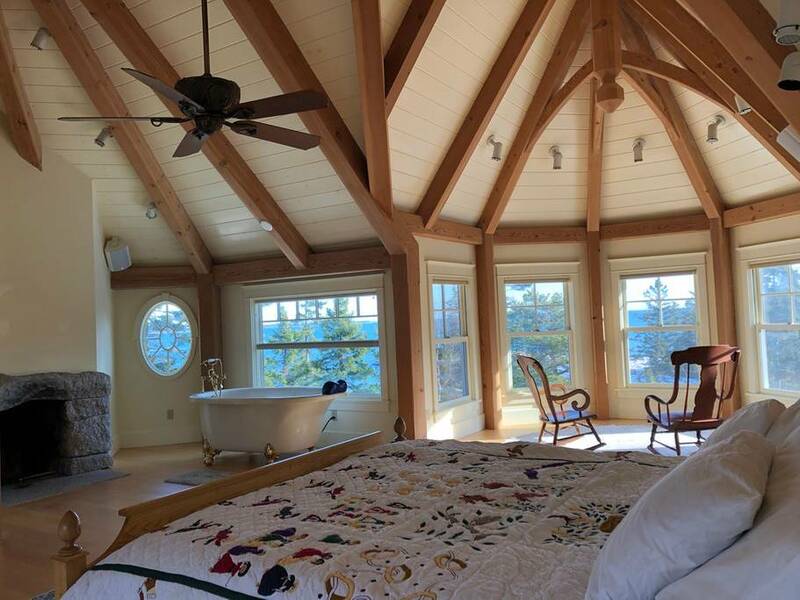 In a nutshell, there’s always something to do here, so with that in mind, here are 8 Great Airbnb Rentals in Bar Harbor, Maine. Built in 1887, renovated in 2017, this former high school has really come of age! 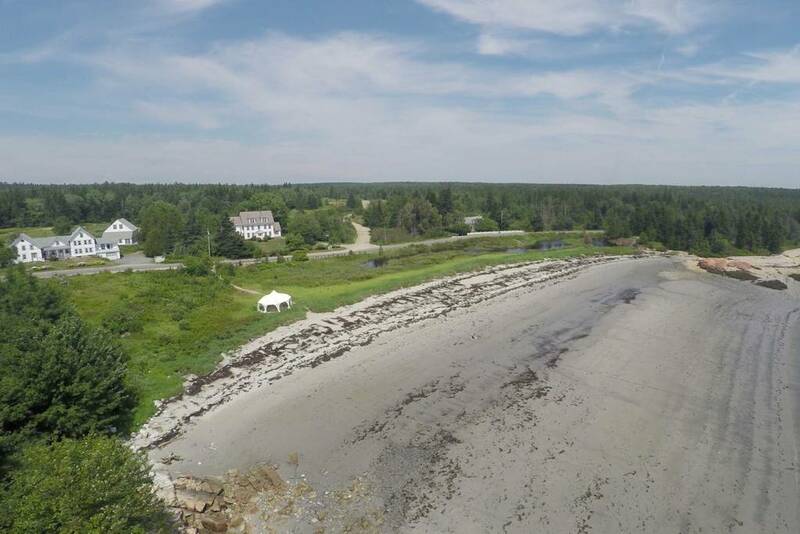 With 4,000 square feet of space, this is the perfect Bar Harbor rental for a big get-together like a family reunion or even a wedding reception hall! 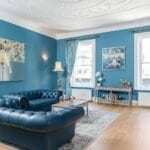 Used as a high school and then a Masonic Hall, this five-bedroom, four-bathroom home sleeps 12 and has so many lovely touches; not surprising, considering it’s owned by two architects. 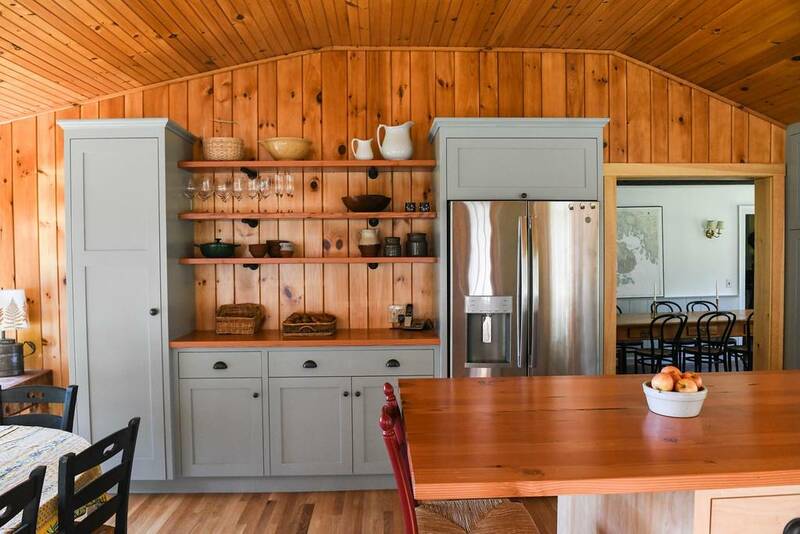 High ceilings, beautiful mouldings, period-appropriate décor all combine to make this a really lovely Maine Airbnb. 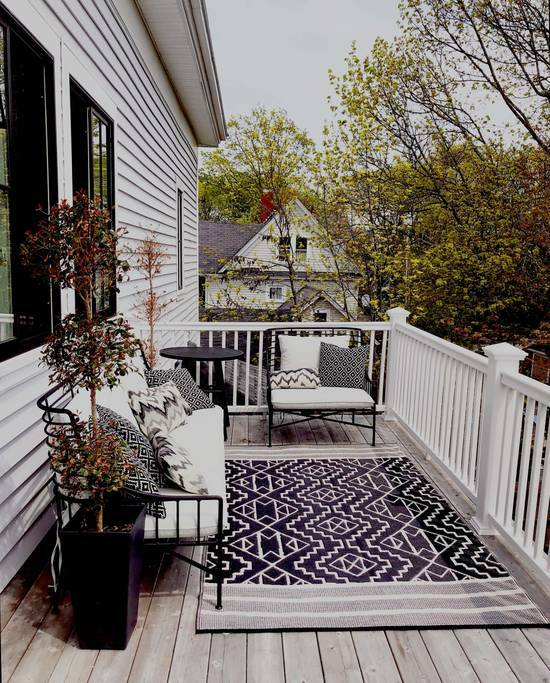 A large, wrap-around deck with a seating area and grill makes a fantastic place to sit and enjoy the surrounding Maine woods. 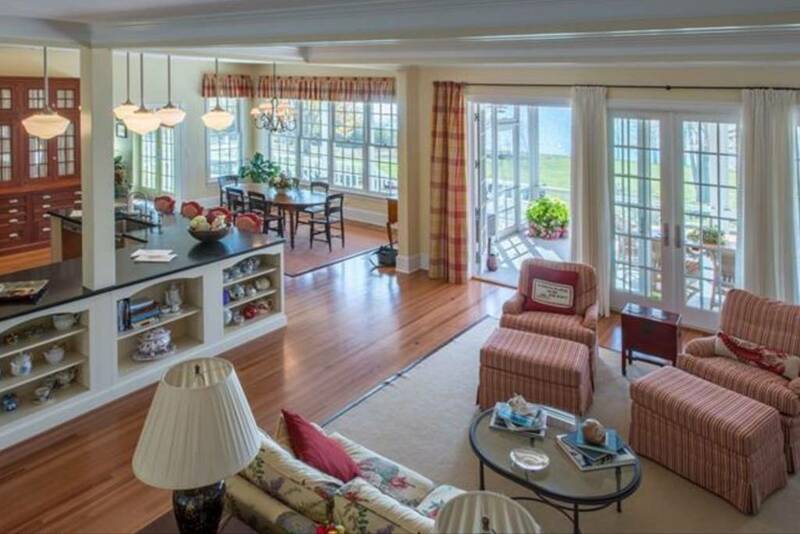 A baby grand piano calls out to have its ivories tickled and the washer, dryer combo will keep you in clean bathing suits and beach towels all summer. 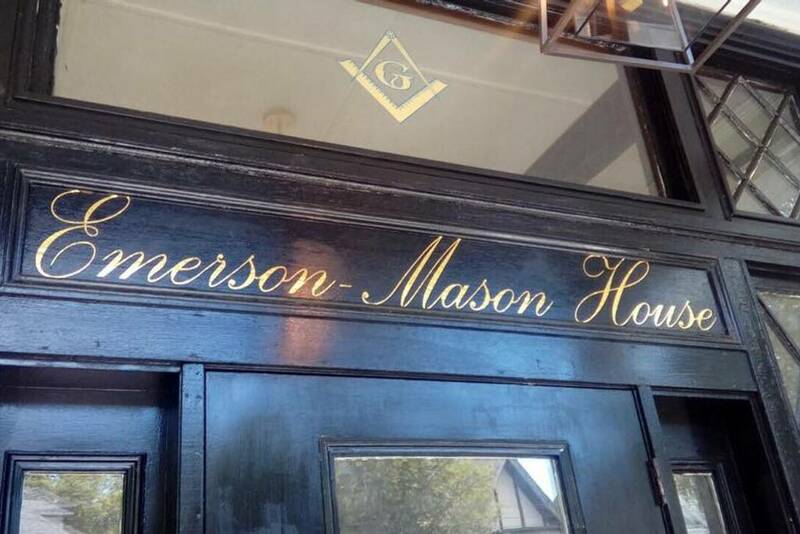 It’s the perfect place to create your own history! 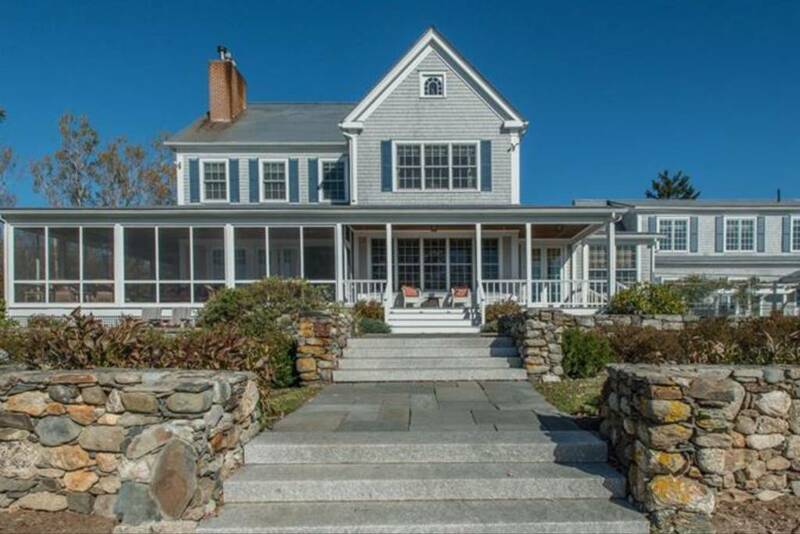 The pedigree of this Bar Harbor estate, known as Briar Lodge, is so extensive it can’t all be explained here but suffice it to say, it was built by J. Montgomery Sears, was the site of Nelson Rockefeller’s birth, and later purchased by a woman who owned the Hope Diamond for a time, and was designed by a relative of Ralph Waldo Emerson. 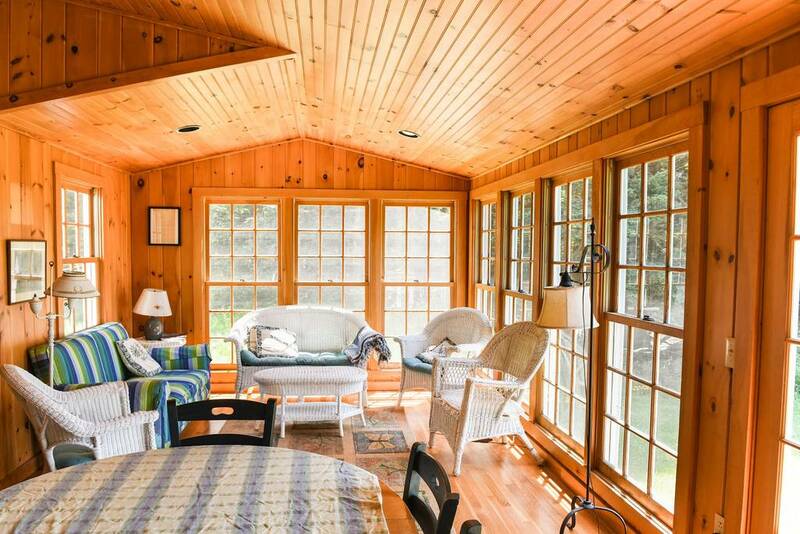 With that kind of history, it’s no wonder that this Maine Airbnb and its bucolic property are so exceptional. 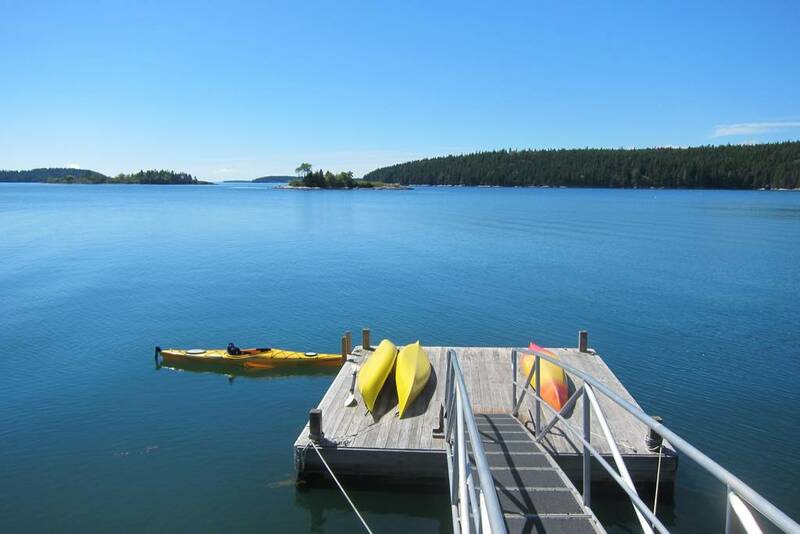 Located on Shore Path, you can walk along Frenchman Bay from here and see Porcupine Island. 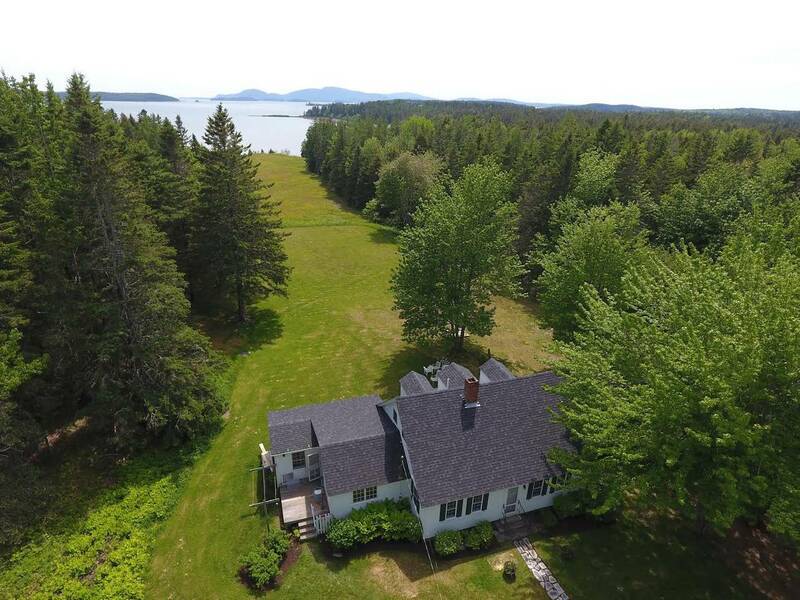 The hosts of this three-bedroom, one-and-a-half bath waterfront home ask that you drive carefully down the driveway as there is so much wildlife (there’s both a deer family and a fox family who live on the estate). The hosts lives just half a mile from the cottage and has been a Bar Harbor tour guide so you’ll have plenty of help on hand if you need anything! 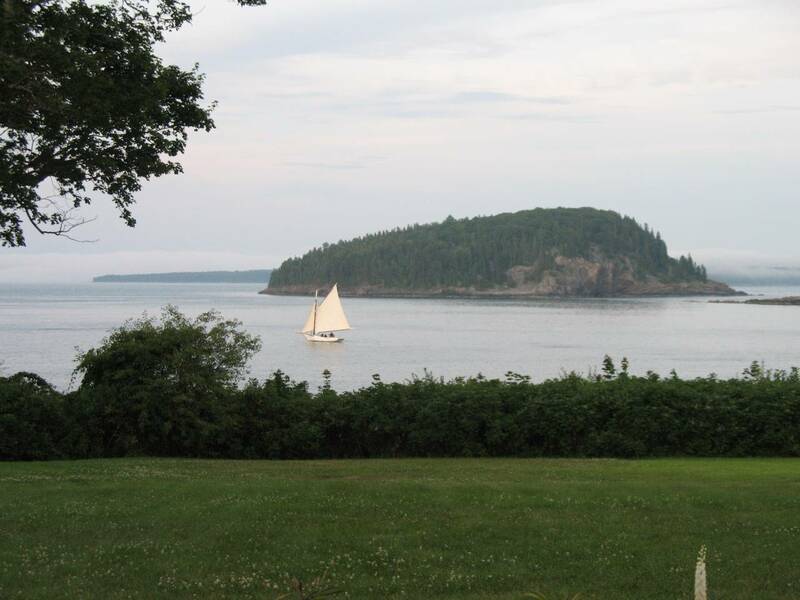 No Bar Harbor Inn could be any more beautiful or perfect! 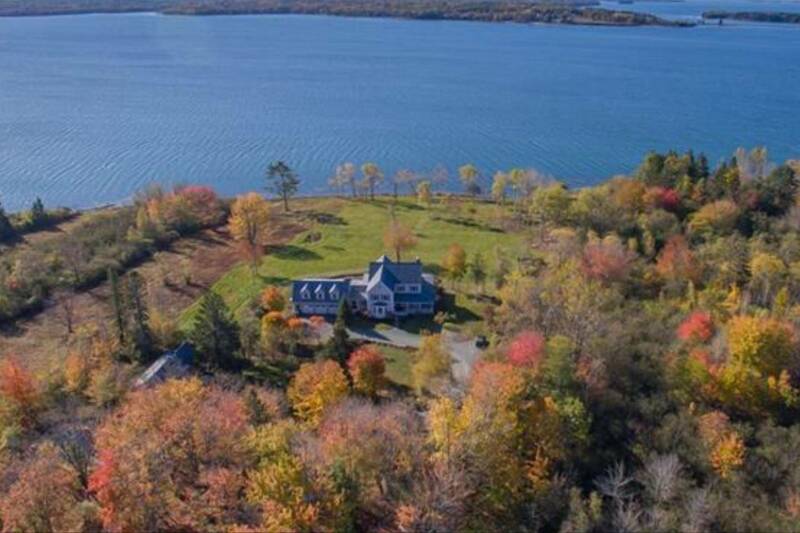 This Bar Harbor estate may have a funny name (Eggmoggin! 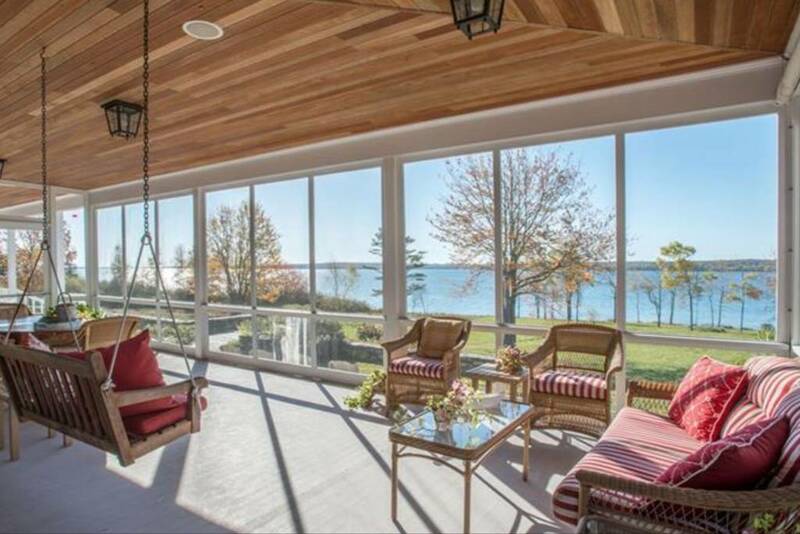 ), but we can guarantee this waterfront home is a true classic. 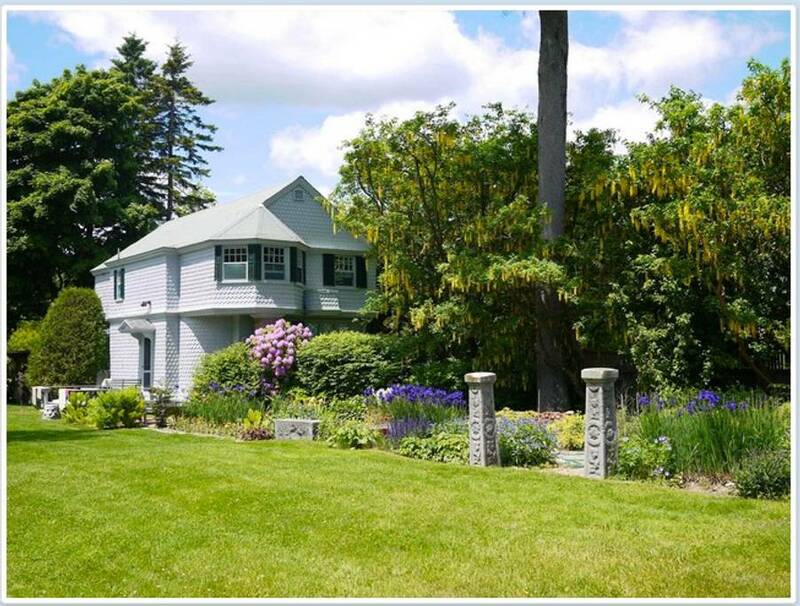 Located on eight acres that include a garden and even a duck pond, this place is so stunning it looks like it could be used for a Kennedy family wedding! 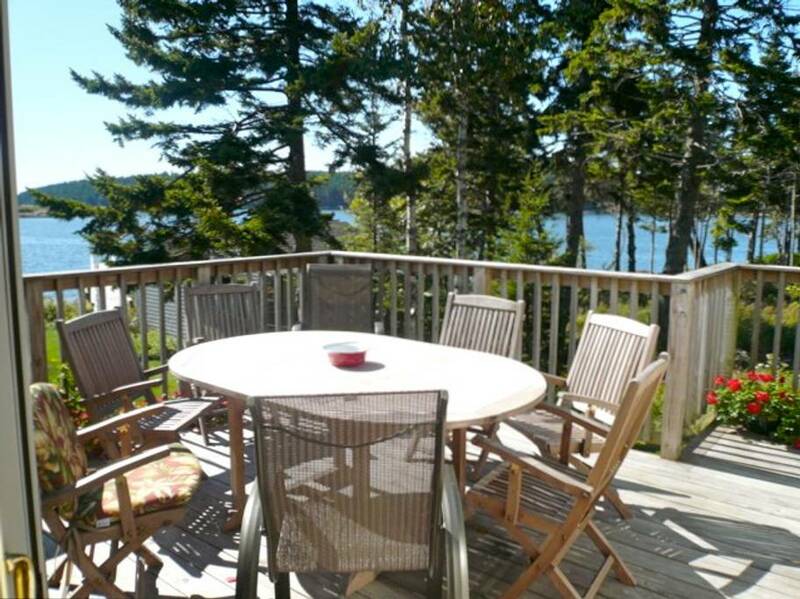 Located in Sedgwick, this four-bedroom, four-bath house sleeps 10 and has breathtakingly stunning views of The Reach all the way to Deer Isle where you can go puffin spotting! Decorated in a charming English style, this stunner has a gourmet kitchen, a perfect sun room for curling up with a good book, and is close enough to Blue Hill that you can be there in twenty minutes. 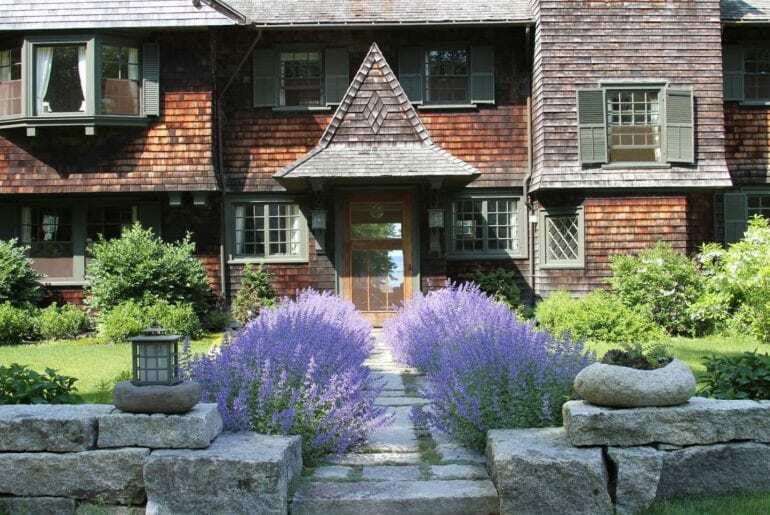 If you’re not familiar with Blue Hill, it’s a charming, picturesque little town that looks exactly like what you thought New England looked like. That said, if you don’t want to take the pilgrimage into town, you can get everything from lobster to lottery tickets at the corner store! 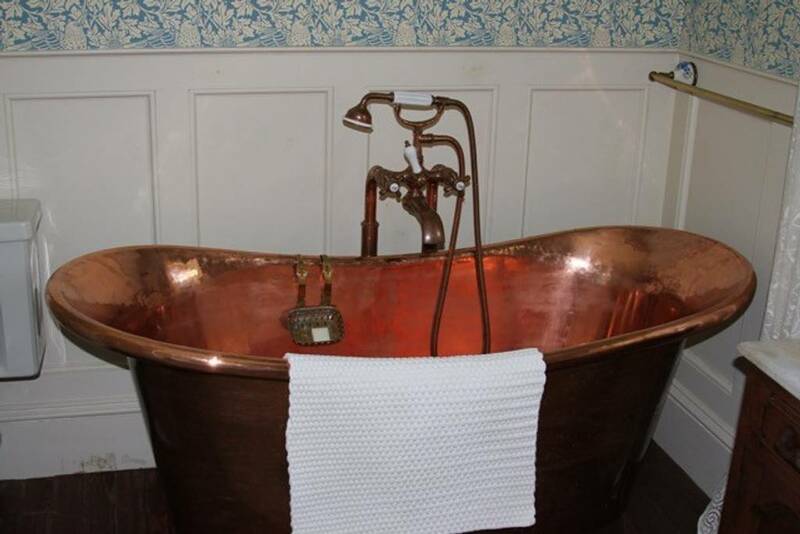 The copper tub: Where did they even get that and how quickly are you going to post of shot of that on your Instagram feed? The private beach: Yes, private. If that’s not quite enough for you, you can also walk to Acacia National Park from here. The outdoor shower: How incredible would that be on a hot summer day? The outdoor soaking tub: With flower petals in it. Flower petals!!! The décor: Modern, it’s not, but if you want to feel as if Beatrix Potter is going to walk in any moment, this is the place for you! 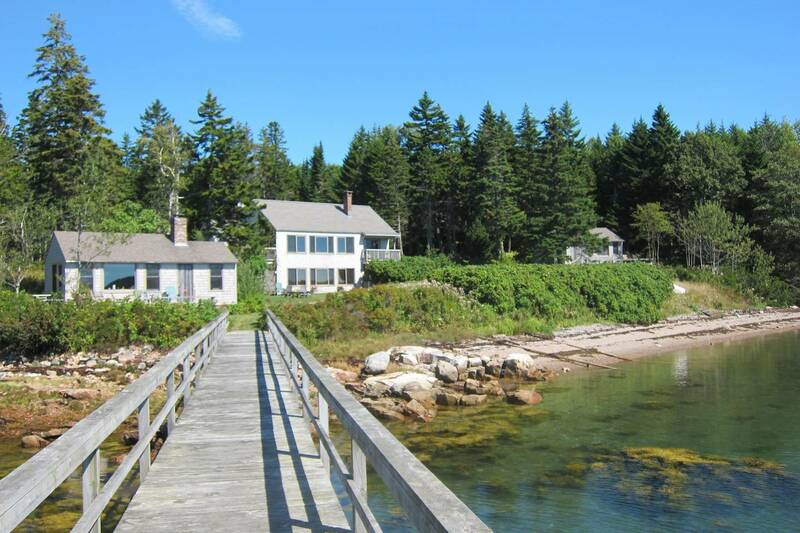 If there’s a more perfect Airbnb in all of Bar Harbor, we can’t even imagine what it might be! 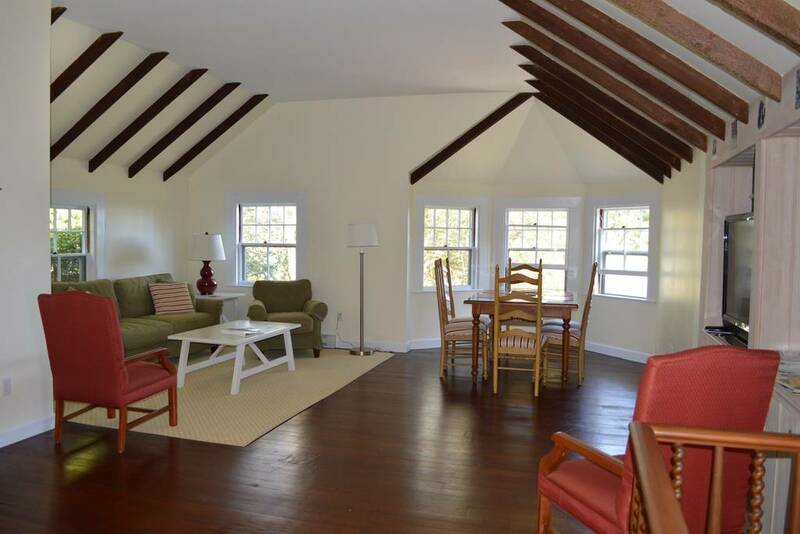 As we mentioned above, starting sometime in March East Coasters start asking each other where they’re going to “summer” and we can’t imagine a more perfect place to that than this Gouldsboro Airbnb. 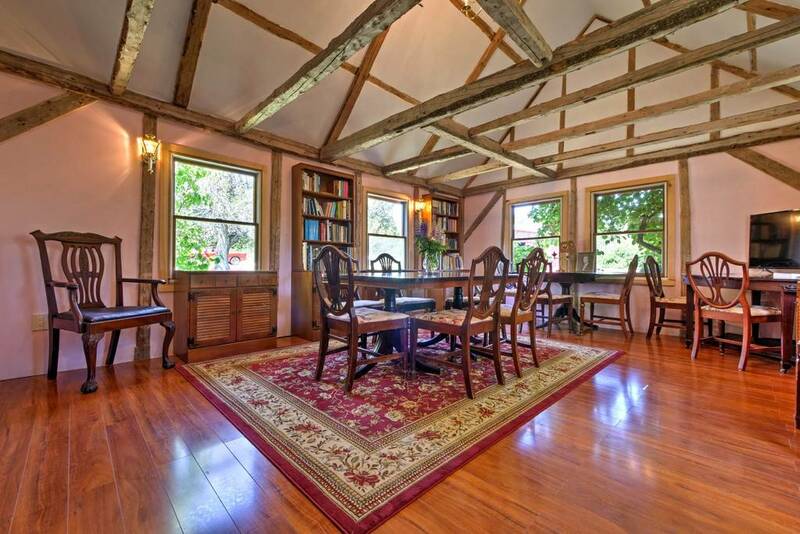 This rustic, cabin-like home is surrounded by woods but has a huge meadow that reaches all the way to the beachfront. 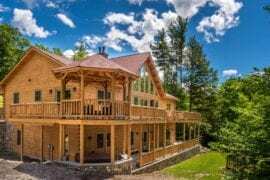 Partially remodeled in 2018, this place is so woodsy that you can almost smell the pine (or oak or cedar or whatever the house is made out of), through the screen. You’ll be among the first to use its new addition master bedroom and artist’s deck although you’ll have to get yourself out of that shade-covered hammock. And yes, there is an outdoor shower so you can rinse yourself off after a long day of swimming. Not big on swimming? Fear not: there’s a bocce ball/soccer/croquet field just waiting for a bunch of landlubbers to play a game. Sleeping up to 13, this Airbnb features six bedrooms, one of which has bunk beds, making it a great place to bring kids. The one thing it doesn’t have: fast Internet so be prepared to unplug and relax. You’ll never summer the same way again! If you’re thinking that this place looks big enough to hold a concert in, that might be because it’s a former concert hall. 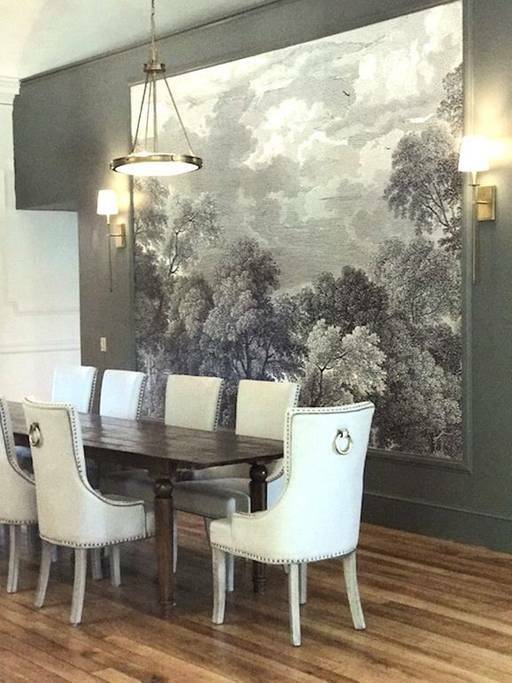 With enough room to accommodate 24 guests, this Prospect Harbor waterfront Airbnb is perfect for a wedding party or family reunion. Built in the 1880s, this nine-bedroom, ten bath property features a private bath for each bedroom. 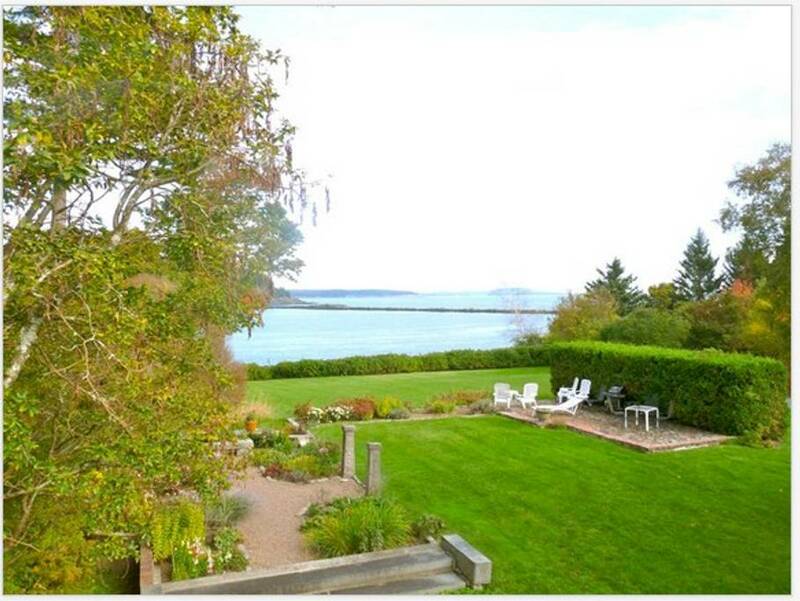 Six of the bedrooms have ocean views while three have views of the meadow. It also has a private, restored barn where you can hold parties, receptions or even a hoe down! 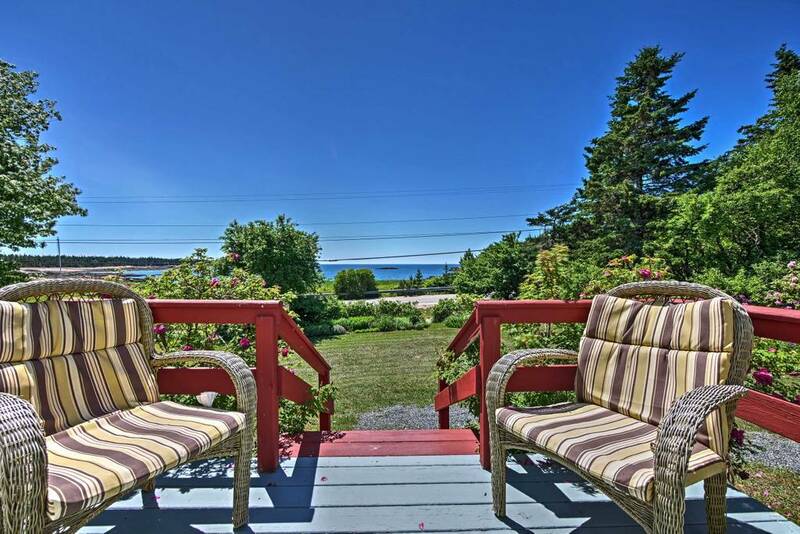 Situated in the middle of a 200-acre nature reserve, the Sea Captian’s Home as it’s known locally, is just five minutes from Acadia National Park which offers miles and miles of bike lanes and hiking trails as well as stunning views of the Atlantic shoreline. While you’re not galavanting around, enjoying nature, there’s a library full of books and a kitchen so well equipped you can probably fix enough food to start your own catering company (and be sure to check out the organic farms that are all over the area for ingredients). 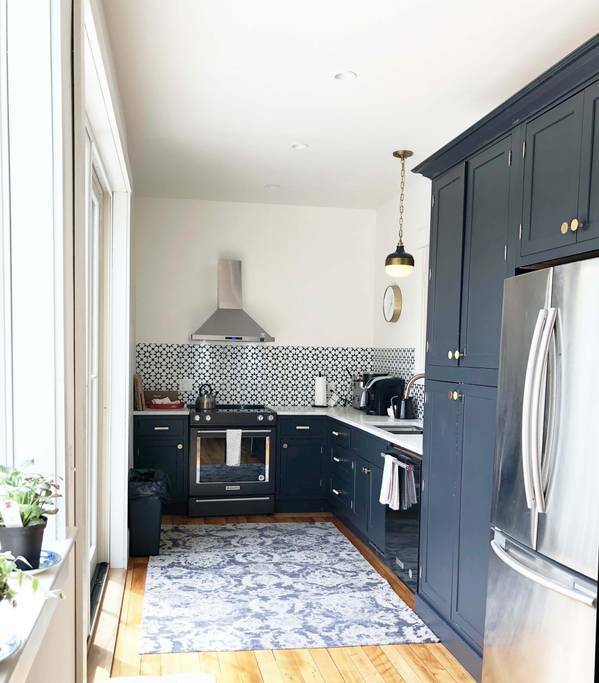 Combining a traditional New England vibe with just a dash of Brooklyn loft, this sophisticated home is the perfect place for a city slicker who needs to feel at home. With two-story cathedral ceilings, a stunning gazebo (imagine what those Instagram pics are going to look like! ), a game and puzzle room (we suggest you start with the corners), and even a grand piano (we sense a sing-a-long in your future and why not? 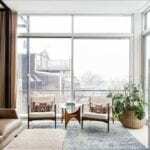 This four-bedroom Airbnb sleeps ten! 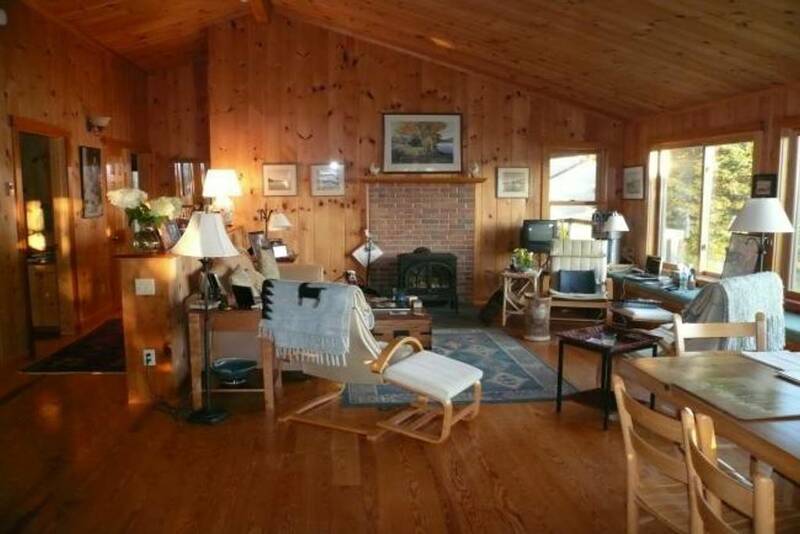 ), this Bar Harbor property offers some really unique features. 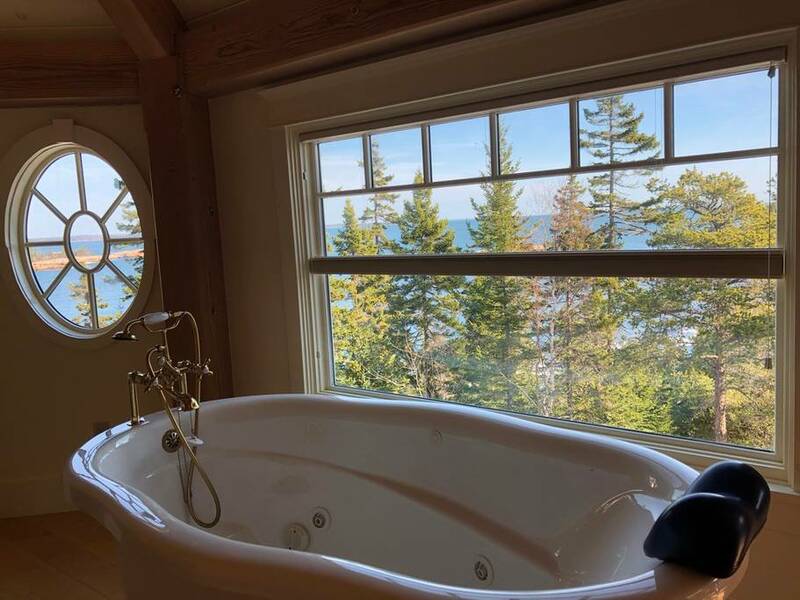 The master bedroom has a spectacular view of the water as well as a bathroom with a soaking tub. 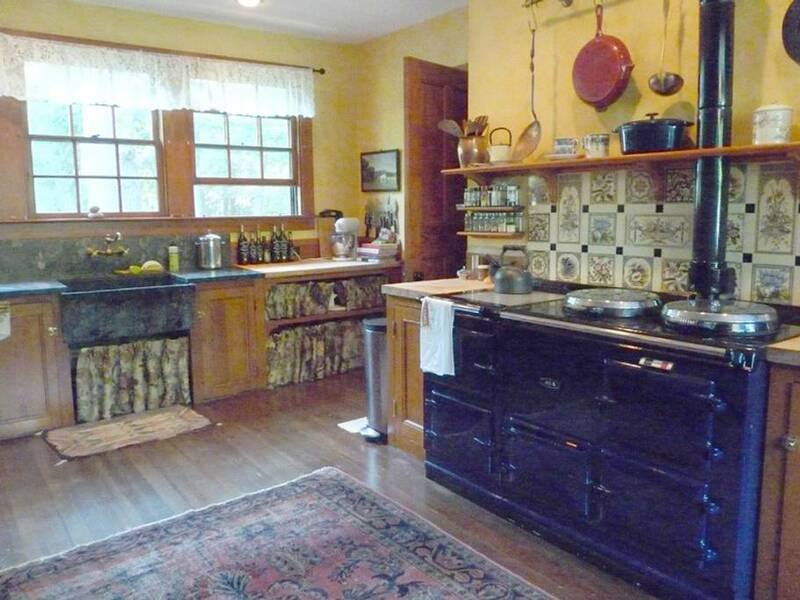 Sitting on over 15 acres of woods and access to the nearby shoreline. If that’s not enough nature for you, you’ll be near Acacia National Park where you can bike for miles and walk for hours. We can’t think of a more perfect place to spend your summer! If you’re the kind of person who misses your summer camp experience, you are going to love this. 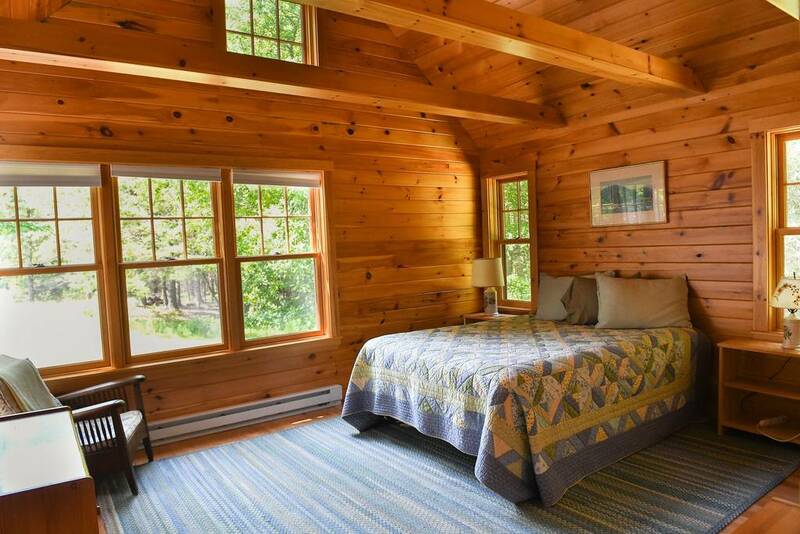 This six-bedroom, six-bath camp of five cabins (each one of which has its own private balcony) was built 50 years ago by the owner’s grandfather and is perfect for a group that wants some privacy but still wants to travel to Maine together. 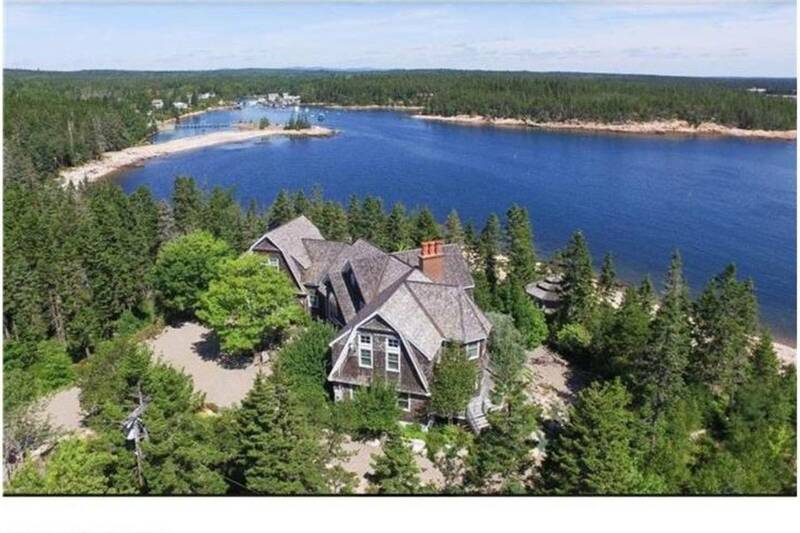 Set on five acres of land on Mount Desert Island, this incredibly special property is a nature lover’s dream come true. You’re likely to see seals, dolphins, loons, deer and even bald eagles! 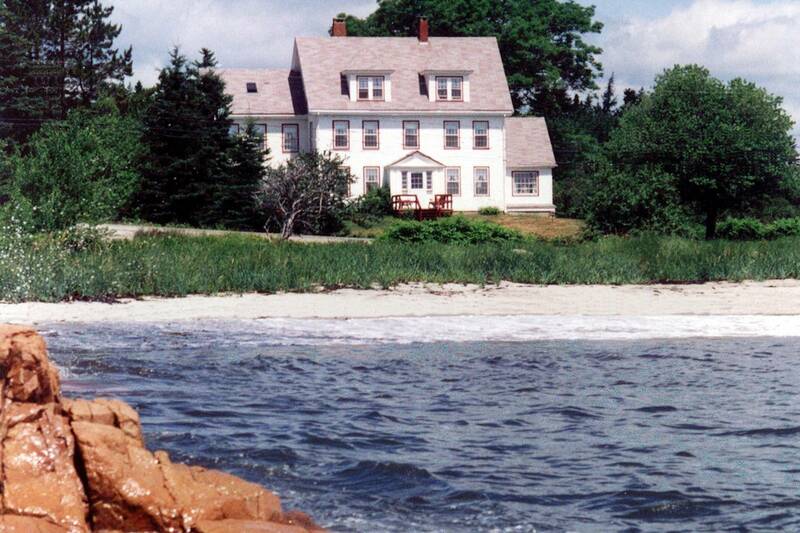 15 minutes from SouthWest Harbor, you’ll also be in prime fishing territory. With its own saltwater pool, this place is equipped with five kayaks, a rowboat, and three bikes, all of which would cost you extra money if you rented them in town. Something this rental doesn’t have: wifi. While you can go to the nearby coffee shops and libraries, we strongly recommend you use the opportunity to unplug. 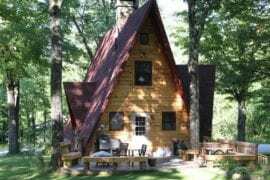 If you need reassurance that this is a great place, consider that one family has now rented these cabins for 20 years in a row. If that’s not a vote of confidence, we’re not sure what is!